Dispatches: Is Surrey punishing homeless protesters? 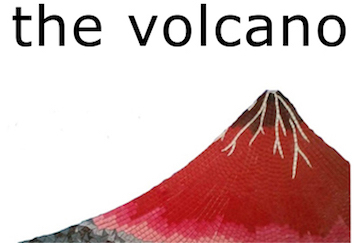 Dispatches is a new column in The Volcano newsletter. Here we will publish brief, first-person reports from the struggles writers and organizers encounter in the daily work of organizing against displacement and for justice. These columns will be less researched and formal than usual articles. Over time we hope they will collect experiences and evidence in a public archive of our social movements. It was a massive clean-up today: I watched a couple of my friends lose everything. They weren’t on the strip so the police and bylaw took everything they owned. And even when I approached bylaw about who I should see about getting the stuff back they wanted to know if it was my stuff. I said no but I wanted to be able to direct him to where he could get it. “Well, we’ll be here for a while so when he gets here tell him to come and see me,” was the response I got. And then they left not even 10 mins later. Today it even went beyond picking up people’s stuff. For one of my friends, they were actually going through everything that he owned right there on the strip. They were opening up all of his bags and going through everything he owned. They opened up his tent and there were a couple of bikes and some duffle bags so they just started going through all the bags. Took the bikes, found some stuff in boxes so I guess that warranted further investigation and they scrutinized every bag that was in that tent. So I don’t think he’ll get any of it back. And police weren’t documenting any of it. In addition, it was a day full of overdoses. I was told that seven people OD’d yesterday, and heard a paramedic say there had been four in one hour. There is clearly a run of bad dope on the strip, but there were no fatalities as far as I’m aware. On the strip people are close together and can offer immediate support in these emergencies, but as the city pushes them off the street those networks of support are also removed, putting their lives into greater potential of harm. One man overdosed not 15 minutes after I interviewed him for the Volcano. The response was quick and he survived. The take-down could be seen as Mayor Hepner’s revenge for the demo last week. At least one person on the strip thought so. I’ve been to the strip a couple of times this past week after our action. On Monday the cops showed up in the morning with sirens going, to wake everyone up. But the tents are up again … people are so resilient under such extreme circumstances of oppression.